Global software solutions provider Sofico has opened a new office in the Netherlands. Sofico Services Netherlands business unit leader, René Vermeij. Based at Houten, near Utrecht, Sofico Services Netherlands replaces the unit at the company’s head office in Ghent, Belgium. 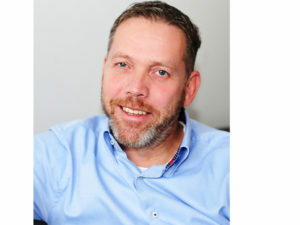 The new office is headed up by business unit leader, René Vermeij, who commented: “There was a clear need to open a new local office focused solely on the Dutch automotive market which has huge potential for us, especially on the retail side. Sofico’s current portfolio of six Dutch customers manages a total of around 140,000 leasing contracts and 145,000 retail finance contracts. These include Volkswagen Pon Financial Services NL, Sofico’s first retail customer in the Netherlands. VWPFS will shortly be joined by BMW Financial Services which has just begun its initial implementation of Miles, Sofico’s hybrid contract management system for fleet, retail and wholesale customers. Gémar Hompes, Sofico managing director, said: “We believe the opening of a new office in the Netherlands is a natural progression for our business and we see considerable growth for Miles in the Dutch market, especially in the retail and personal leasing channels.